Can We Play in School? Spring has arrived in full bloom here in Texas, and with the beautiful weather, I am gratefully reminded of how enjoyable it is to see our kids play. 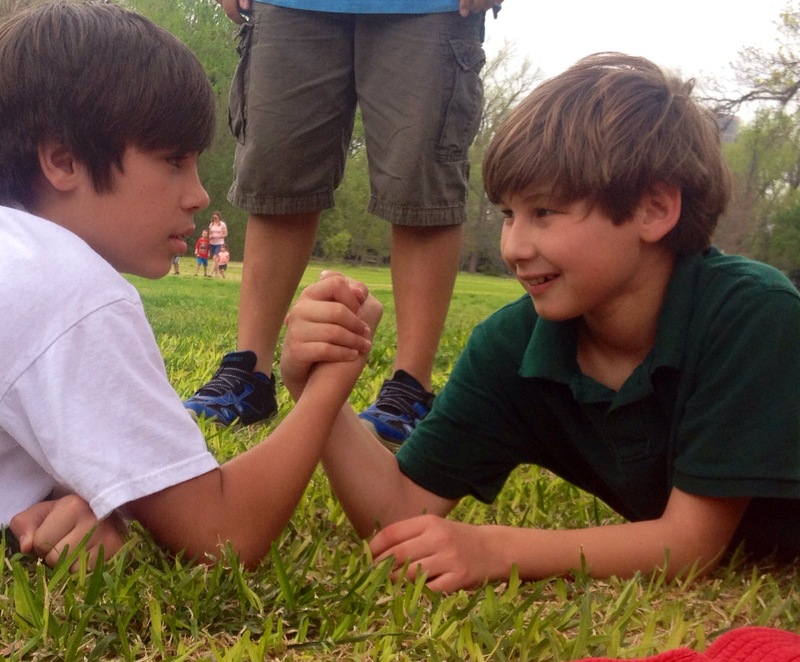 Here at Shady Oak Learning, we take play seriously. It is embedded in our school day. Children who come here have about an hour and a half of free play time outdoors throughout the day. Why? Because research supports that play is an essential part of brain growth and behavior development. Children who move and play show significant increase in IQ. Acc ording to David Elkind, professor emeritus of child development at Tufts University and author of The Power of Play, children spend 50% less time out doors than they did in the late 90’s while passive leisure, such as watching television and playing electronics, has increased dramatically. Research especially shows that the kind of play that promotes sociodramatic play, where children participate in make-believe activities, can increase children’s success in school.